As a birth mom I have my own story and it is unique. It can often be easy to romanticize the ideal adoption scenario; a young girl gets pregnant and loves the baby so much that she decides to give it a better home and life than she can offer. But there is much more to most birth mother’s stories than that typical, idealized notion. I grew up in a stiflingly Christian home, church and private school. As a child and teenager I talked the talk, but deep down inside, I desired to break free and live how the rest of the world lived. So, as soon as I turned eighteen, I rebelled; and thinking I was invincible, I got involved in drinking, drugs and fooling around with boys. Eventually, my poor choices caught up with me and I was suspended from school after my freshman year in college and became pregnant shortly thereafter. But instead of accepting the consequences for my immature behavior and making better decisions, I sunk further into my selfishness and chose to hide my pregnancy from everyone around me except for my best friend. Hoping that my condition would just go away, I continued in my denial for nearly eight months, resorting even to self-abuse in an attempt to avoid the inevitable. Finally, at God’s urging and my best friend’s pleading, I began to realize that there was no easy way out and that I needed help. So, while back in college, across the country from my home and the only person who knew my secret, I started to take the pregnancy seriously and scrambled to make important decisions. I confided in another friend at school who helped me take care of myself, find and interview adoptive families and eventually take me to the hospital in time to deliver a tiny, but precious miracle. I had been a Christian my entire life, but God was never as real to me as He became in those 37 weeks at twenty years of age. No matter how hard I tried to deny Him or the presence of that angel baby, God was always there with me, silently waiting for me to let go and submit to His leading. He protected the child inside me from my mistreatment and when I finally did give up control, He provided within days the help and people I needed to find that little miracle a forever home. God’s hand was over every detail; even allowing me to keep complete confidentiality from everyone at school and at home. In fact, until I wrote a memoir about it in 2011, my secret stayed hidden from nearly all of my family and friends for over ten years! I kept that secret for all those years because I was ashamed. Ashamed that a good, Christian girl got pregnant in the first place and then even more ashamed for keeping it a secret. As the years went on, the shame, just like side effects of a lie, kept building and weighing heavier on me until I very clearly heard God tell me that I didn’t have to live with it any longer. Jesus wanted to take my secret and turn it into a beautiful story of His unyielding love, forgiveness, provision and transformation. And now, there is no more shame, just thankfulness and the desire to encourage others who have been or currently are in a similar situation. And perhaps even help change the misperception of adoption and birth mothers. I hope my story can help other catch a glimpse of the wide range of birth moms that are outthere. We are not cookie cutters; we all have different stories and different lives. Every birth mom has had their own, very unique adoption experience. Some may very well have been like the typical story, greatly anguished by their decision to give up their baby and still want connection with him/her and the adopting family. Others may not want any contact or because of substance addiction, incarceration or even international adoption may not be allowed to have any. Still others may be like me; although I have always appreciated any communication I get from the family, have never really felt a need for it. There is such a spectrum of birth mothers and they should be treated as such. I want to urge adoptive and foster moms to listen to the stories of the birth moms they encounter and reflectively and prayerfully engage with them, not based on preconceived notions or glamorized ideals, but from where they are coming and where they are at now. That, in itself is the biggest thank you that one can offer the birth mom of their adoptive child. And for girls out there who are pregnant and considering adoption, or have already placed a child and struggle with the shame and fears caused by their choices, I hope they will be encouraged to find a safe community with whom they can confide their secrets, be encouraged and supported in the sacrificial and loving decision to place their baby for adoption and feel nothing but PRIDE in that brave and selfless act. 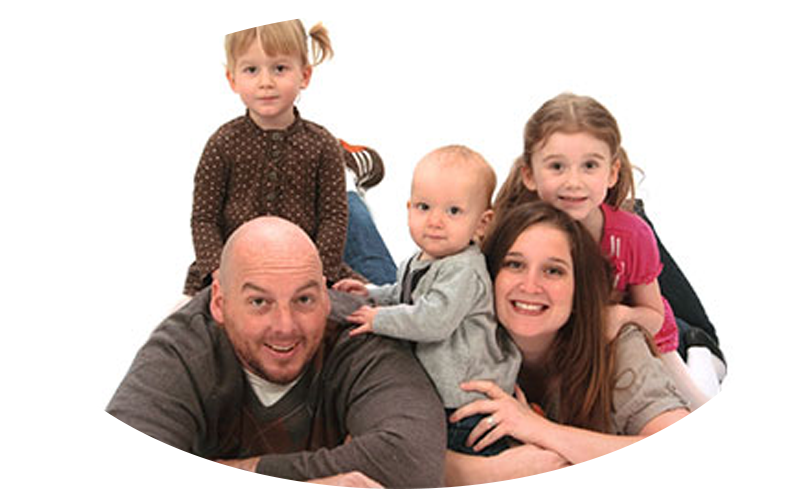 Wynter is married to Jonathan and they live in Forest Grove, Oregon with their three children. She founded The Made to Mother Project (M2M), which is dedicated to encouraging, supporting and inspiring women by sharing their diverse stories of motherhood. And for ALL the messy details on her adoption journey, you can check out her memoir The Secret Inside Me, now also available on Kindle.